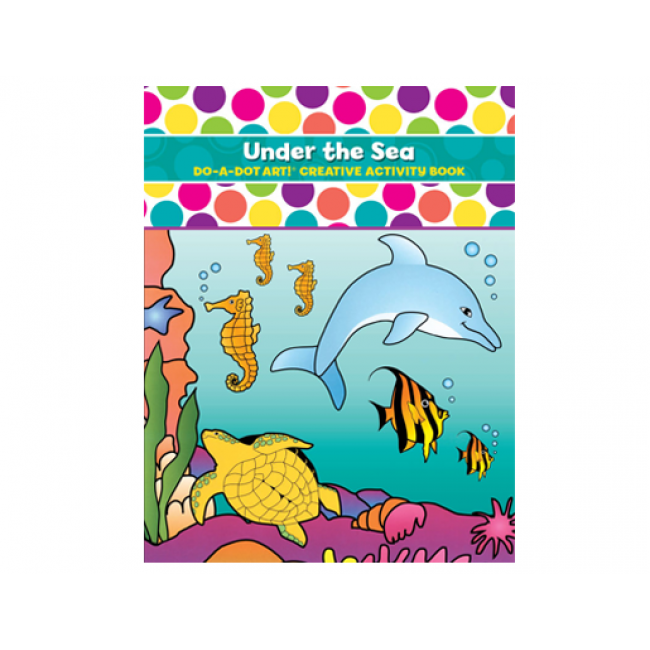 Explore the realm Under the Sea with this fun and exciting Do A Dot Art coloring book! This collection of fun and fascinating sea creatures includes big bold artwork of dolphins, sea turtles, starfish, sharks and more! Under the Sea is not only a coloring book, it also has fun activities like 2 dimensional art using simple guidelines, and facts about each one of our sea animal friends!